2 bed, 2 bath, furnished apartment, Lagos Centre - Property for sale. Full Description: These 2 attractive apartments with swimming pool, parking space/s and large terrace with BBQ are in a quiet urbanization close to all the amenities of Lagos. One apartment is on the ground floor with 1 private parking space whilst the other is on the 3rd floor with 2 private parking spaces and benefits from city and sea views. Accommodation comprises of entrance hallway, fully fitted and equipped kitchen, spacious lounge/dining area with doors leading to a private terrace with BBQ. There are two double bedrooms with fitted wardrobes, the master with en-suite bathroom and hydro massage bath and another family bathroom. The 2nd bedroom also has sliding doors leading to a private balcony with views over the swimming pool, garden and bar. 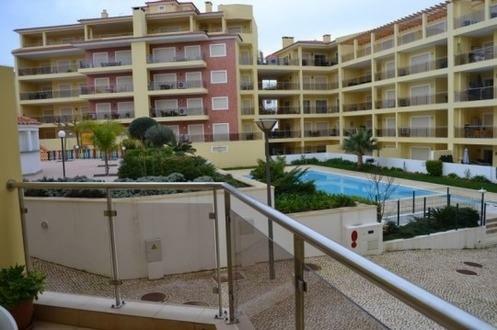 Ground floor apartment 185,000 euros, 3rd apartment 245,000 euros. This listing has been viewed 2439 times.